Wednesday, Oct. 30 to Saturday, Nov. 2, 2019 in Indianapolis. I am a first time advisor and new to convention. What do I need to do to plan my trip? Welcome! Check out the First Time Advisor Guide. Early Bird registration and pricing opens Tuesday, Sept. 10 at 6 p.m. EDT. Standard registration pricing will begin on Tuesday, Oct. 8 at 8 p.m. EDT. *Housing block rate also applies to schools within a 100-mile radius of the Indiana Convention Center. What is Included with a Full Registration? Full Registration comes with full entry into the expo and shopping mall during operating hours, 1 opening session seat (you must select during registration if you want to have seats for Opening Session 1A, 1B or 1C), all general sessions (including the American Degree Ceremony), student and teacher workshops and the Blue Room. Full registrations do not include Career Success Tours, National Days of Service, concert, rodeo or hypnotist show entry. What is Included with a Daily Registration? Online registration opens Tuesday, Sept. 10. When open, a registration link will be available via your FFA.org account dashboard after logging-in. You may also register onsite starting Tuesday, Oct. 29 at 1 p.m. EDT at the Indiana Convention Center, Hall B. Can an FFA member register themselves? No, the chapter advisor must register all student members to attend the National FFA Convention & Expo. My chapter isn’t going to convention.  Can another advisor register an FFA member who is not in his/her chapter? It is preferred that the chapter advisor of the FFA member complete the registration so that attendee records are accurate. Chapter advisors may register a member from another chapter, however when they go to select the names of the members attending within the registration process they will have to manually enter in the name of that other chapter member. I am a parent of a member and want to attend. How do I register? To pre-register, the chapter advisor must log in to his/her ffa.org account and register any parent or guest by selecting the guest registration. Guests may also register onsite starting Tues. Oct. 23 at 1:00 p.m. EDT at the Indiana Convention Center, Hall K.
Can I pay for registration items with a school Purchase Order? Yes, you can pay with a school purchase during online registration. Can our convention credential name badges be shipped? Children five and under do not require a registration to attend the National FFA Convention & Expo. However, ticketed events such as concerts or rodeos require all persons, regardless of age, to have a ticket. How do I buy a parking pass for my school bus, motor coach or mini bus? Links to Indianapolis garages and parking lots selling FFA rate passes for parking a school bus, motor coach or mini bus are available on the Travel Planning page. Prices range $75 to $155 depending on the length of stay and location selected. How do I buy a parking pass for my car, Sedan, truck or SUV? Links to Indianapolis garages and parking lots selling FFA rate passes for parking standard vehicles (sedans, pick-up trucks, SUVs or 15-passenger vans) are available on the Travel Planning page. Prices range from $35 to $105 depending on the length of stay and location selected. Where can I find parking if I have a trailer? Trailer parking must be arranged prior to traveling to the National FFA Convention & Expo. Please contact convention@ffa.org to request trailer parking. Are hotel shuttles provided for every hotel in the housing block? Hotel shuttle service will no longer be provided through convention registration. Visit the Travel Planning page to find options for individual and group transportation. Do I have to register for convention in order to buy tickets for the concert or rodeo? Yes. The concerts and rodeos for convention are private events for registered convention attendees only. The link to purchase tickets to our private concerts and rodeos will be provided in your registration confirmation email. Tickets for the concerts and rodeos will be sold through Ticketmaster. Do I need to wear my convention name badge for all events? Yes. You will need to have your convention name badge to enter all convention events including the concert and rodeo. What items are prohibited at convention venues? For your safety, all convention participants are subject to TSA-style search at venue entry. This applies to all convention venues, including Indiana Convention Center, Lucas Oil Stadium, Bankers Life Fieldhouse and Indiana State Fairgrounds. If a prohibited item is revealed during a search, guests may dispose of the item or return the item to their vehicle. No items can be checked at the venue. What food options are available around the convention center? Wednesday, Oct. 30 – 7 a.m. — 6 p.m.
Thursday, Oct. 31 – 7 a.m. — 6 p.m.
Friday, Nov. 1 – 7 a.m. — 6 p.m.
All concessions located within the expo halls will be open during expo hours. Food trucks will be located outside the Indiana Convention Center on Georgia Street Thursday and Friday from 11 a.m. — 4 p.m.
For options around downtown Indianapolis, check Visit Indy’s Eat & Drink page or download the National FFA Convention & Expo app for a large list of nearby Indianapolis dining options of all types. Where can I find a list of exhibitors for the expo and shopping mall? View the current exhibitor map and exhibitor directory. What time is the expo and shopping mall open? Will the convention be on TV or streamed? Yes, National FFA Convention & Expo events can be viewed on TV and via online stream. RFD-TV, a proud platinum sponsor of the National FFA Organization, will provide full television coverage of the 92nd National FFA Convention & Expo general sessions. Find RFD-TV in your area. General sessions, CDE/LDE Finals Hall events, National FFA Talent Rounds 2 and 3, National FFA Band and Chorus Concert and more will be available via streaming on FFA.org and convention.FFA.org. Check back soon for a complete schedule. Why should I reserve convention housing through this process? The housing process is fast, easy, personal and provides immediate customer service response. Visit Indy has extensive experience in processing reservations for large conventions, and they have developed close relationships with Indianapolis and surrounding area hotels. This translates into better service for FFA convention and expo attendees. By contracting rooms into the housing process for this event, FFA and Visit Indy provide attendees with increased availability, lower rates and a smoother process. If all attendees were left to book rooms on their own, they would have to compete with other groups and individuals (including non-FFA guests) for rooms with inflated hotel rates. Does FFA inspect each housing site within the housing process? A quality assurance visit is conducted for each contracted hotel by one national FFA staff member and one Visit Indy staff member. The quality assurance visits take into account things like cleanliness, safety, security, location and more. We do not have any hotels under contract that we do not feel are appropriate. Quality assurance visits take place twice each year and are always conducted with a representative from both the National FFA Organization and Visit Indy. How will I receive a confirmation of my housing reservations? All completed reservations in the housing process will generate a reservation acknowledgment at the time of booking via e-mail. If you are booking more than two rooms at one time, you will receive a Master Acknowledgment of your reservations in addition to an acknowledgment of each reservation. Do convention housing rates increase each year? By placing these housing options under contract, FFA and Visit Indy are able to negotiate year-to-year rate increase limits. This protects FFA attendees from having to endure excessive rate escalations during the course of the convention’s time in the host city. The current contract controls rate increases using a sliding scale based on the consumer price index each year. I need more room nights than available. Is there a waitlist? The convention housing process includes a waitlist feature that enables users to request room nights on the front and/or back end of their reservation. The waitlist is only available for non-peak convention dates and does not include the nights of Wed., Oct. 30 or Thurs., Oct. 31. Nights for which a room is unavailable but eligible for waitlist will be denoted by a red exclamation point beside the date. After booking a reservation including one or more waitlist nights, the system will monitor inventory availability and automatically add the requested nights as they become available. Upon adding night(s) requested via waitlist, the housing system will send the reservation holder a confirmation message indicating the night(s) that have been added. Waitlist nights listed in your reservations are not guaranteed until you receive an updated reservation acknowledgment that shows those room nights have been added to your existing reservation. Can I make special requests for convention housing? The convention housing process includes a comment field to add special requests to your reservation. Please note that special requests are not guaranteed and will be determined availability at each hotel during check-in. If you make a special request, please contact your hotel directly after Sept. 26, 2019, to confirm availability. Hotels will not receive reservation information from the housing process until after Sept. 26, 2019, and cannot answer questions about your reservation until after that date. Will additional occupants in a room affect the cost of my reservation? Some hotels in the convention housing process may have higher rates if a room has three or more occupants. The additional charge per occupant will be listed in the hotel description on the housing website and also on your emailed reservation acknowledgment. Credit cards used to make a reservation will not be charged until you check-in, unless you cancel your reservation after Aug. 5, 2019, when fees from the FFA Housing Cancellation Policy will apply. Credit cards that expire before Nov. 3, 2019, will be rejected by the reservation system. The credit card on the reservation can be updated via the housing system until Sept. 26, 2019, or via the hotel directly after Sept. 26, 2019. To make a change or cancel a reservation prior to Sept. 26, 2019, please follow the instructions in the reservation acknowledgment email. All changes and cancellations after Sept. 26, 2019, must be made directly through the hotel. Please refer to the FFA Housing Cancellation Policy for additional information. For reservations with two or more rooms, please note that if you attempt to cancel reservations via the button on your Master Acknowledgment you will cancel ALL rooms in your reservation. Only use the cancel button on your Master Acknowledgment if you want to cancel ALL of your reservations. To cancel one reservation or to make changes to your reservations (such as updating reservation names, contact information, credit card and guest information), use the “modify” button. How do I add rooms to my reservation? Once you complete a reservation and you receive a reservation acknowledgment email, you are not able to add rooms to that reservation. To make additional reservations, you must start a new search and make a new, separate reservation. Is there a time limit to hold rooms in the housing system before completing my reservation? Yes, a visible timer and pop-up reminder will show you the length of time remaining to complete your reservation before the rooms in your cart will be released back to the available inventory in the housing system. If rooms are added to your cart and you complete the reservation before the timer expires, no other user can access those rooms during the reservation process. I have many names to enter for my reservations. How do I add multiple names before the timer expires to complete my registration? Don’t worry! The housing system will take your Booking Contact information and pre-populate it to all rooms on your reservation. Once your reservations are confirmed, you may go back to your reservation to update names on each individual room. Can I change hotels after I make a reservation? Once you have a confirmed reservation, you cannot use the modify function in the housing process to change your housing location. If you need to change hotels, you must book a new reservation and cancel your original reservation. Help! I can’t find any hotels available for my nights selected. If no hotels are shown as available for the nights you select, try adjusting your dates and resubmitting the search. Otherwise, check regularly to see if additional inventory has been returned to the system. The housing website updates availability in real-time. The housing process website will show all rooms available at any time. No additional rooms are available via the housing call center. You must book any available rooms online before contacting the housing bureau for assistance. Do housing rates include tax? Are reservations tax exempt? Rates posted when searching for available rooms in the housing system do not include tax. The total charge per room including tax will be shown on the screen before you confirm your reservation and on the acknowledgment screen when your reservation is complete. Reservations are not tax exempt.